When I was a kid, my grandmother canned lots of different things. I recall a couple of times when she visited and turned our kitchen into a hot, steamy factory. 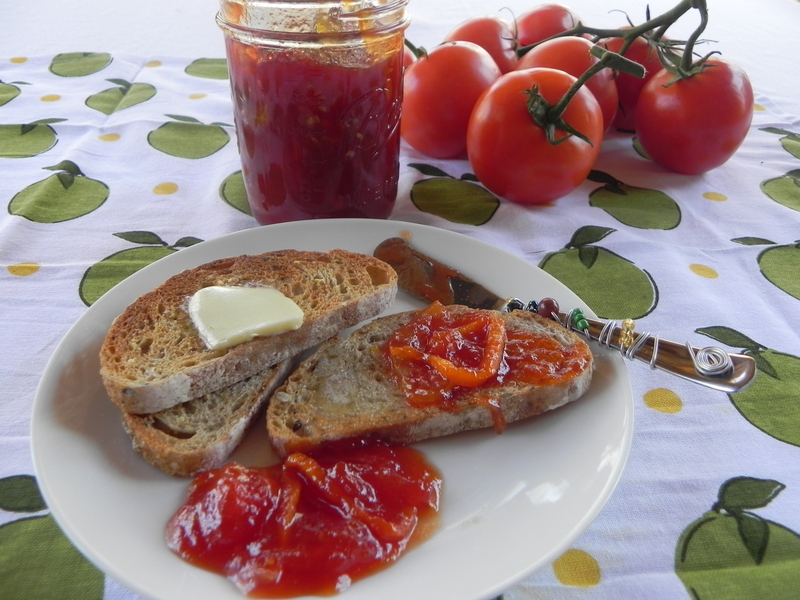 She and my mom preserved corn, beans, tomatoes, and the most wonderful cherry jelly. 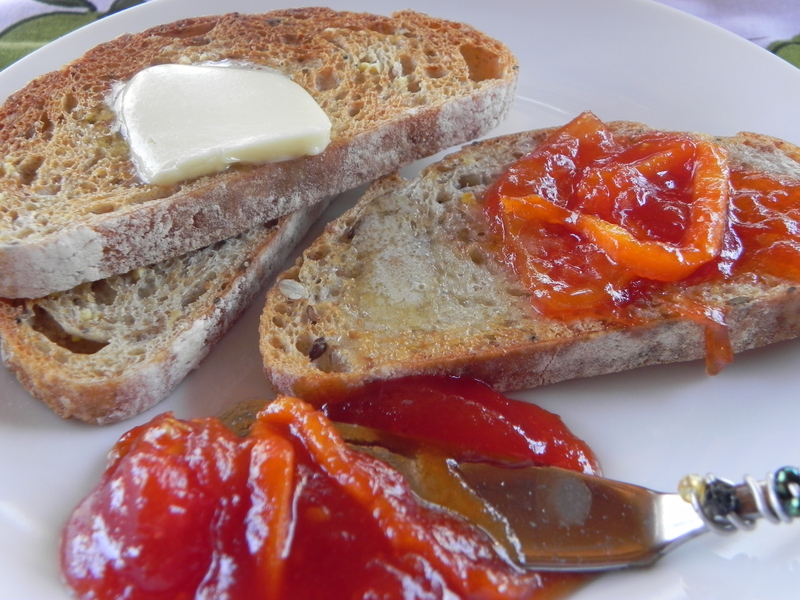 One thing I really loved was her tomato jam. It had a really distinctive tart/sweet flavor that I can still remember. I never learned how to can and although I know it is safe when done correctly – the whole full blown idea of boiling the glass jars in water and sealing them airtight was not something I wanted to spend my time on. 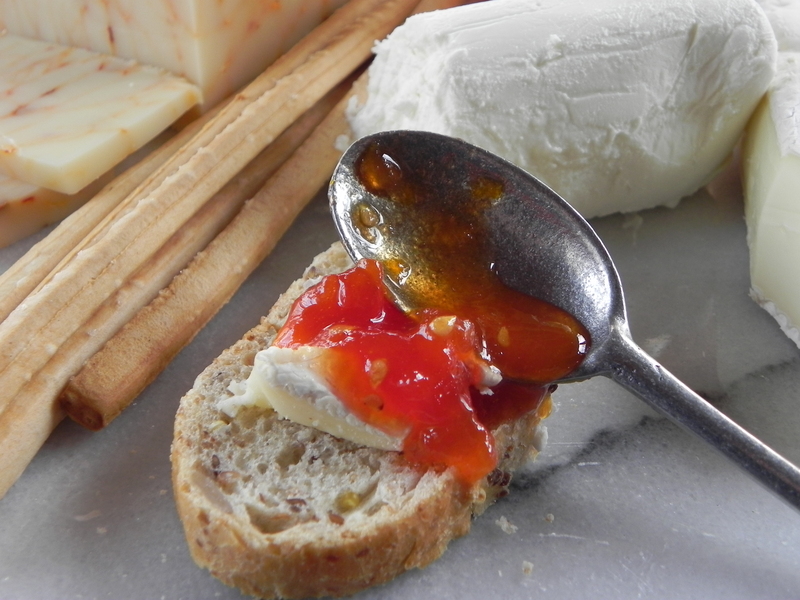 But, I wanted to see if I could duplicate my grandmother’s tomato jam in some fashion. This post is the result of my experimenting. It’s very easy and it tastes close to my memories! 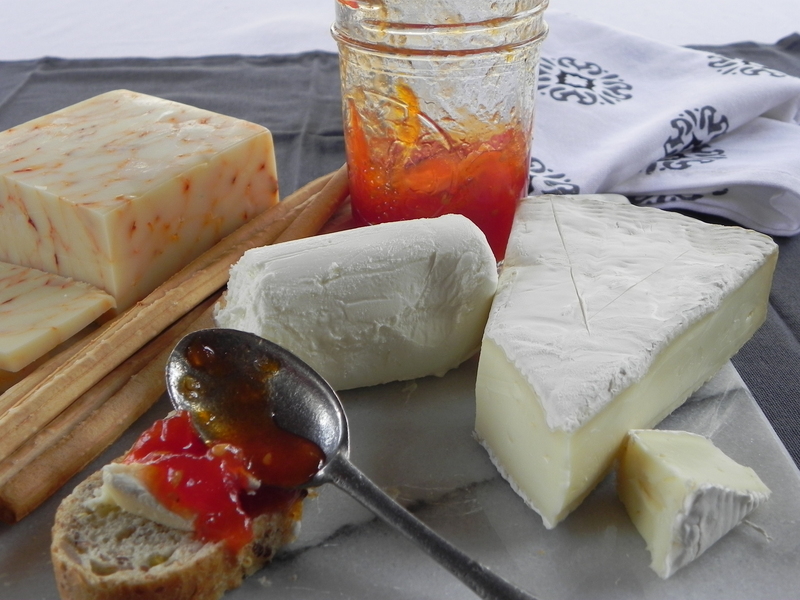 Besides toast, it pairs up very well with spicy or salty ingredients in sandwiches, paninis, cheeses, and salads. *There are a few different ways to get the tomato juice. 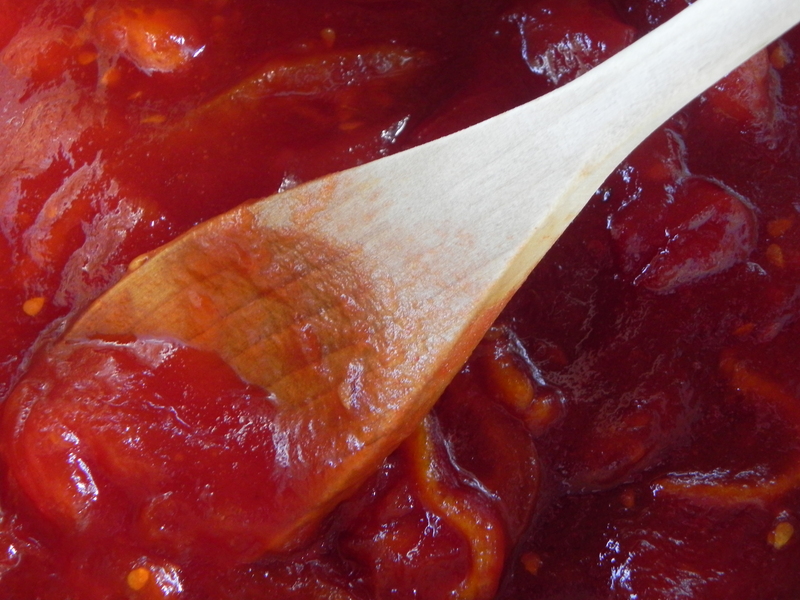 If you use canned, the resulting jam is a bit darker in color but still beautiful. Or, you can take three additional tomatoes and mash/press them through a colander. You could also put the tomatoes in a food processor and then strain them to get the needed 2 cups of juice. 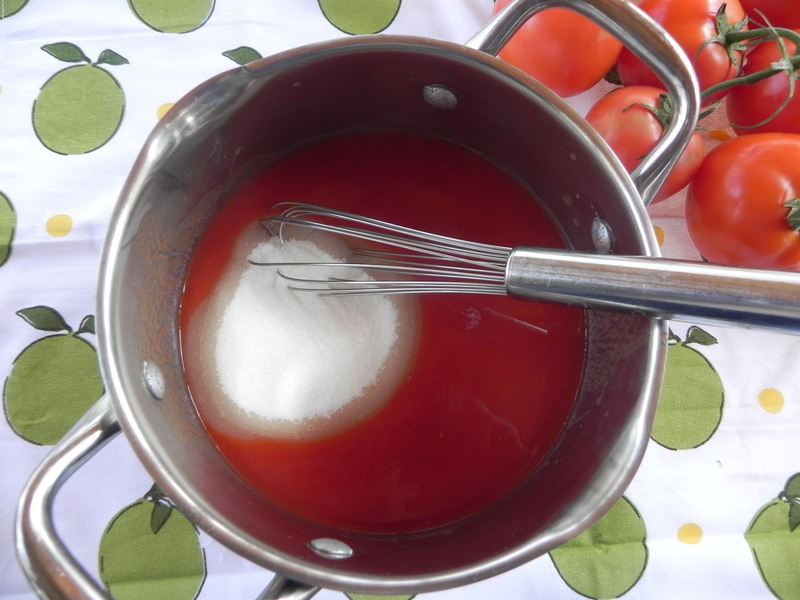 While the juice and sugar are boiling, core the tomatoes and cut them into eighths. Thinly cut two lemon slices and two orange slices. Cut each slice in half. 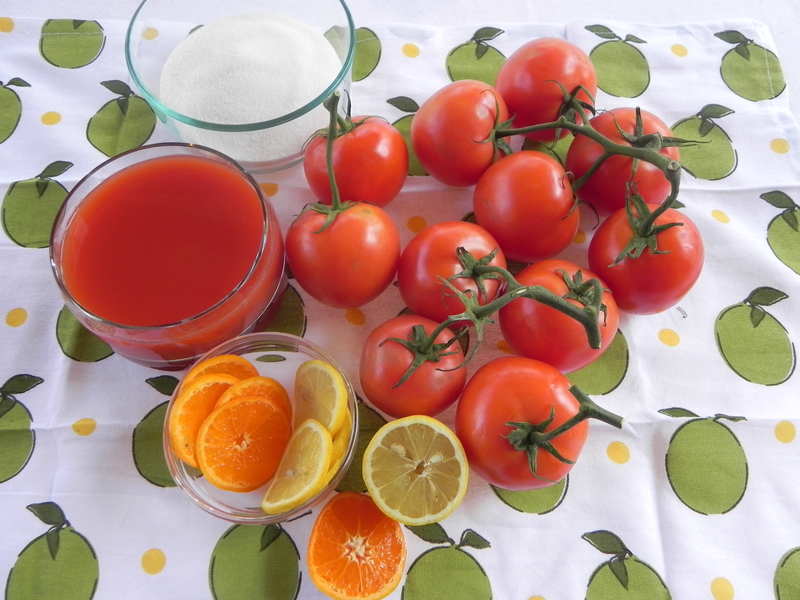 When the tomato juice and sugar mixture is ready, add the tomato, orange, and lemon slices. Turn the heat down to low and gently cook the jam for about at least an hour or more. Stir every so often with a wooden spoon. 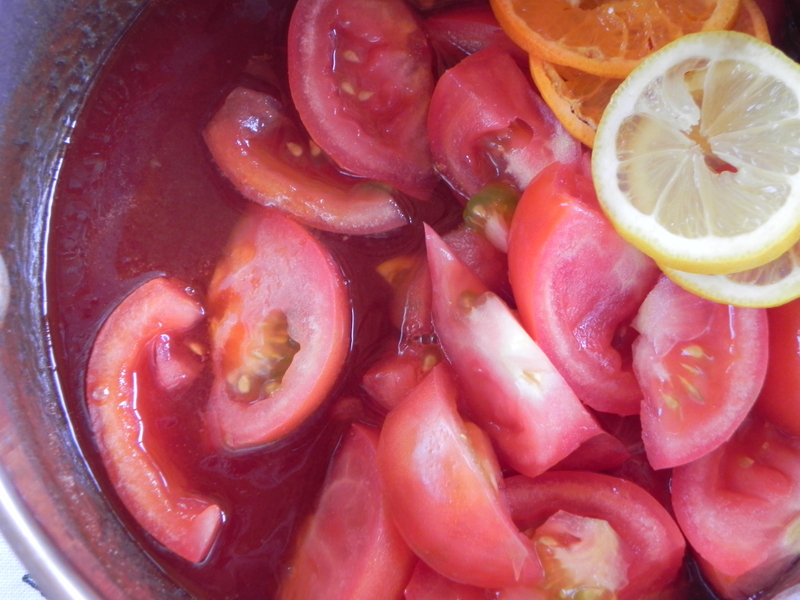 It will be ready when the tomatoes are broken down and the mixture is translucent. The orange and lemon skin will be visible but the flesh will have “melted” in the jam. Allow the mixture to cool and spoon it into a container. Keep it refrigerated. Since this is just refrigerated not processed, it will last a week – if you have any left by that time!